Welcome To "Trail des Tranchées"
The name of Verdun resounds in the in the humanity history as the biggest and most tragic battle of the first World War. To celebrate the centenary of the Great War and particularly the Battle of Verdun, the Grand Verdun Tourism Office organises the “Trail des Tranchées” on the Battlefield of Verdun. The Trail des Tranchées originality comes from his place, the Battlefield of Verdun, real opening sky museum. From the Douaumont ossuary, the parcours take the sides of the biggest sites of 14-18 but also, others unknow from the public. Trail runners, who are running on the steps of the soldiers, have the pride of beginning the run with “the stand at attention” and finishing(under) the receiving line of the bayonets. Unforgettable memory for us, trail runners. The Trail des Tranchées is an international and sportive event, which allows to discover the battlefield of Verdun under and innovative angle. Bayonet Circuit 14,8 km : discovering circuit of the Trail des Tranchées. This parcour is for giving a first “approach” of the trail. It is a passage between Douaumont Ossuary and the city of Verdun by white ways. According to the météo, the parcours can be “variable” but needs a regular training. The “finishers” will go back in town and cross a guard of honor of armed “poilus”, synonyme of finish line. The poilu’s circuit is very technical foray and hilly on the battlefield of Verdun combination of white ways and windings single track. It is an alternation of ascents and descents or variable field, grass, mud, undergrowth. It is for experienced runners, who are practicing several times a week. It goes on the Forts of Souville and Douaumont, Froideterre, mixing at the same time trail, nature and History. Technical and long work run, the vaillant circuit is hardly exclusively a nature run on ways and undergrowth. It goes through the battlefield proposing a path on forts, bunkers, command post , old batteries. It is composed of successions of climbs and descents combining fields (ways, lands, grass, undergrowth, mud). The course becomes particularly difficult when the rain and the mud of spring get blended. It is for a public of tough insiders, capable of handling a rude run of several hours by half r-yourself. Limited schedule is settled on the 55,8 km circuit. Every trail runners coming at kilometer 16,4 after 10.15 am will be guided on the 14,8 km circuit. So, the UTMB® points will not be assigned. Every trail runners coming at the kilometer 31,6 after 1.30 pm will be guided on the 14,8 km circuit. So, the UTMB® points will not be assigned. Every trail runners coming at the kilometer 41,5 after 3 pm will be guided on the 14,8 km circuit. So, the UTMB® points will not be assigned. Free buses are settled at the citadel to bring you to the Ossuary. 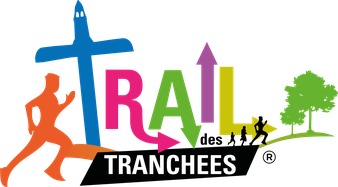 Where is located "Trail des Tranchées"?